Terriers rebounded from a tough loss at Yale by knocking off previously undefeated #2 ranked Quinnipiac at High Point Solutions Arena in Hamden, Connecticut. With the win—just the Terriers’ second road victory—BU finishes the first semester with three wins and a tie in the last five games and a 9-6-3 record. The Terriers and Bobcats were meeting for the very first time. The Bobcats took an early lead when their leading scorer, Sam Anas, cut across the slot and beat senior Sean Maguire with a backhander. 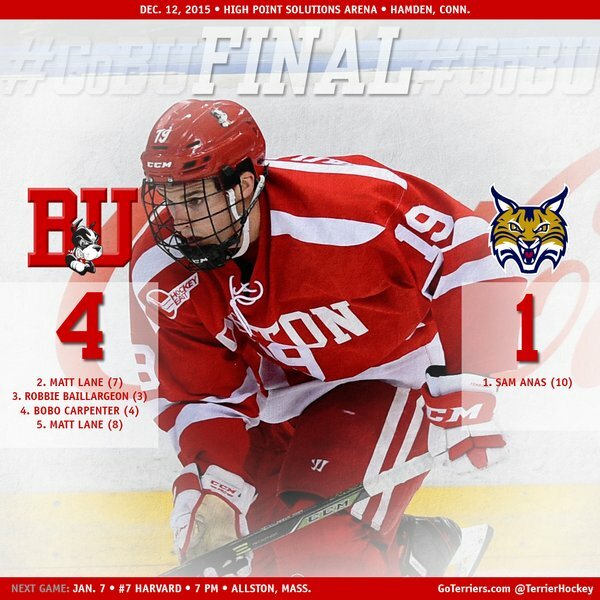 After a successful penalty kill, BU began pouring shots on goal and knotted the score at one. For the third time in four games, freshman Jordan Greenway found senior assistant captain Matt Lane in the left circle for a one-timer at the 14:22 mark of the first period. 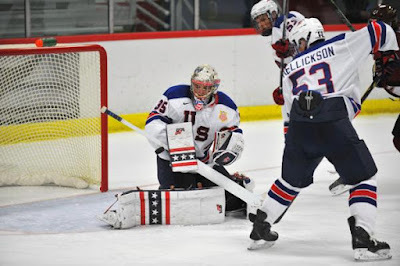 Junior Robbie Baillargeon scored what proved to be the game winner just three minutes into the middle period, when he took a Charlie McAvoy pass on the off-wing and beat goalie Michael Garteig short-side with a quick backhander. At 7:29 of the third period, BU extended the lead. Freshman Bobo Carpenter’s (photo) wrap-around attempt was blocked, but Baillargeon grabbed the rebound and found Carpenter in the right circle and he ripped a shot over Garteig’s right shoulder. Quinnipiac pressed to narrow the margin and the Terriers were forced to kill back-to-back penalties that produced eight Bobcat shots, but no goals. In the final minute, freshman Brien Diffley blocked a shot and found Lane who raced in to score an empty-netter for his eighth goal of the season. It’s not easy coming into this building, let alone after you play last night in a hard-fought game against Yale. But, boy, it certainly says an awful lot about our team. About our character, our resiliency, our work ethic. And those qualities can take you a long way through the course of a hockey season. It’s huge. I mean, what more can you ask for? The number-one team in the country, they’re undefeated, it’s at their place, sold-out crowd, the atmosphere—it can’t get any better….Showed a lot of heart, and we came out with the W.
► In perhaps his best performance of the season, Maguire stopped 36 of 37 shots, including 17 in the final period. ► Along with snapping the Bobcats’ unbeaten streak, BU ended Garteig’s shutout streak at 209 minutes. ► The win may have come with a stiff price. Senior Ahti Oksanen was injured in the third period and was helped from the ice holding his right arm. No details are available thus far. UPDATE: It's been reported that Oksanen has a dislocated shoulder. Seen in the crowd: Former BU assistant captain Patrick MacGregor and the parents of Penguins center Nick Bonino, who is now skating for a new head coach (see below). 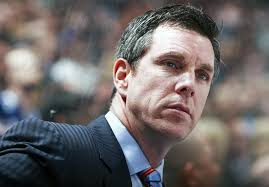 Former Terrier captain Mike Sullivan was named head coach of the slumping Pittsburgh Penguins, who dismissed Mike Johnston. The Marshfield native, who played 12 NHL seasons for four teams, had been coaching the Pen’s affiliate in Wilkes Barre/Scranton, which has the AHL’s best winning percentage. Sullivan, who coached his hometown Bruins during the 2003-04 and 2004-05 seasons, had also been an assistant coach for three teams. 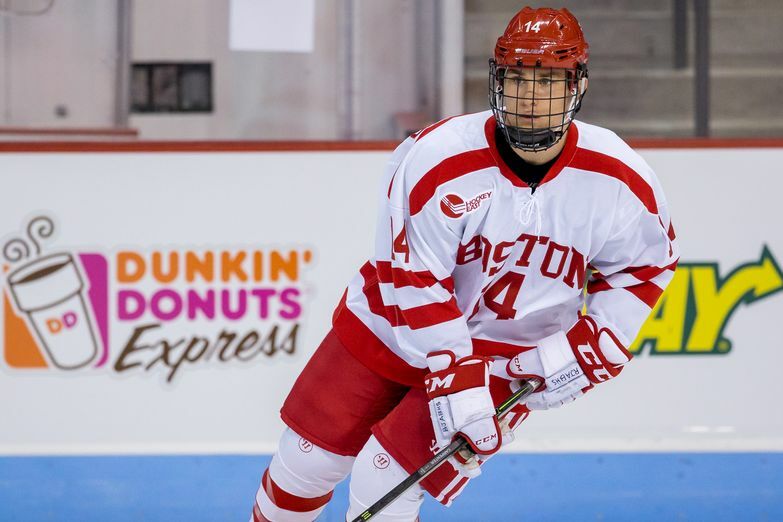 He takes over a roster that includes three former Terriers: Bonino, Adam Clendening and David Warsofsky. At BU, Sullivan scored 138 points and led BU to the 1990 Frozen Four. During his four seasons, he was a Terrier teammate to both BU head coach David Quinn and assistant coach Scott Young, as well as former Avalanche head coach and current Bruins’ assistant Joe Sacco. Chris Bourque scored a goal and two assists as Hershey defeated Binghamton, 5-3, in AHL action. 2016 recruit Kieffer Bellows scored a pair of goals while fellow recruit Jake Oettinger (photo) turned aside 18 of 19 shots as the NTDP U18s defeated Princeton, 4-1, at Hobey Baker Rink. 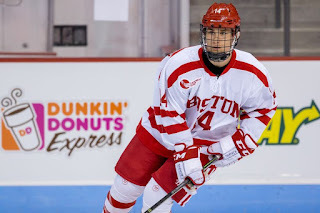 Bellows’ linemate, also a BU recruit, Clayton Keller had primary assists on both of Bellows' goals and leads the squad with 52 points (16G, 36A). Bellows boosted his team-best goals total to 22. Oettinger improved his record to 13-3-0 and lowered his GAA to 2.25. 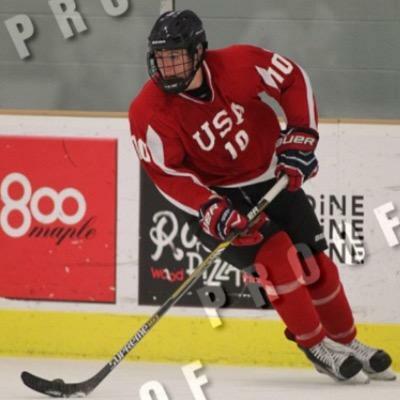 2016 recruit Johnny McDermott scored a goal and added two assists in Westminster Schools’ season-opening 4-0 win against Northfield Mt. Hermon. 2018 recruit Jack DeBoer (photo) scored a goal for Salisbury in its 6-2 win over Kent School, as the Knights improved to 5-0. Earlier in the week he scored a goal in a 5-2 win against Millbrook. The 6-2 right wing from Madison, NJ was recently named to the Team USA roster for the 2016 Youth Olympics in Norway this coming February. Sport boots?Sport boots are the first and the utmost fascination of boys especially for those who like sports.If it would be like some Lightest work boots ,I think people can wear it more comfortably.